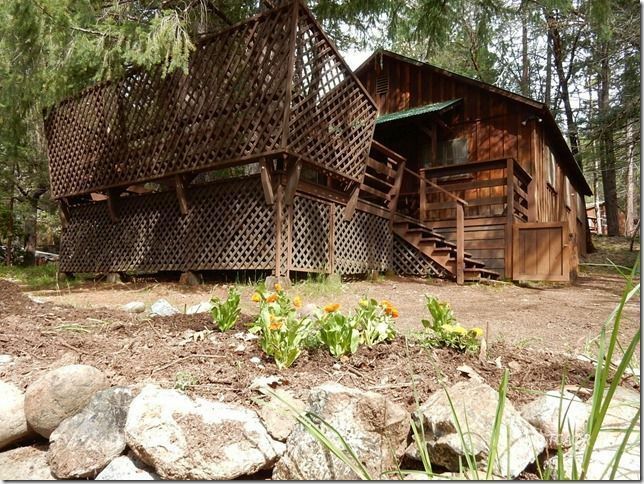 Vacation cabin in Coffee Creek with stream flowing by and set -up for immediate occupancy. 2 bedroom, 2 bath, living, dining, kitchen main room, wood stove and electric wall heaters. Front deck with built in benches, lattice for privacy and shaded by huge cedar tree. Detached garage with attached laundry room, work shop and room for boat, quads and toys. Wood storage area for wood stove. Close to store, restaurant , swimming hole, Trinity River and Lake. Cabin is fully furnished down to the dishes and pots and pans - just bring your recreation toys and you're ready to enjoy all the fun that Trinity County has to offer! !